Correcting presbyopia with the laser | Laser Zentrum Hannover e.V. For the RayFEye project, the scientists of the LZH have developed both a mechanics and an optics model. The mechanical model was used on test eyes (a by-product of the animal) to examine how laser incisions in the lens and the cornea influence their refraction behavior. Based on these data, the researchers then developed a biomechanical model that can also be analyzed for optical imaging performance. The model is supposed to predict the optimal placement and the expected vision of the patient before surgery. The long-term goal is to develop gentle surgical methods and to replace clinical studies through virtual studies. In addition to the LZH, the Optimo Medical AG (formerly Integrated Scientific Services AG), which is developing the OptimEyesTM software, and the ROWIAK GmbH, the manufacturer of the laser system, are involved in the project. The joint project "Ray tracing in ophthalmic finite element models for predicting visual acuity enhancement" (RayFEye) was funded within the framework of the Eurostars program by the Federal Ministry of Education and Research (BMBF) and by the Swiss State Secretariat for Education, Research and Innovation (SERI) under the grant number 01QE1545B. There is one figure for this press release. As an independent, non-profit research institute, the Laser Zentrum Hannover e.V. (LZH) stands for innovative research, development and consulting. 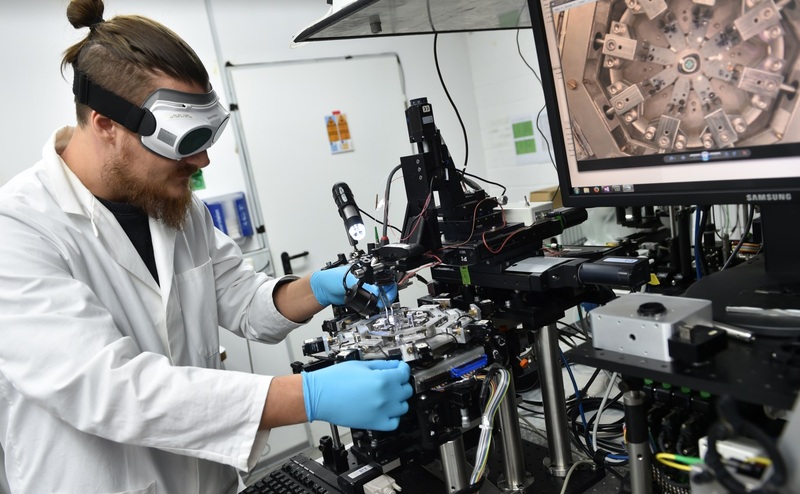 The LZH is supported by the Niedersachsen Ministry of Economic Affairs, Employment, Transport and Digitalisation and is dedicated to the selfless promotion of applied research in the field of photonics and laser technology. Founded in 1986, over 170 employees are now working for the LZH. The focus of the LZH lies on the fields of optical components and systems, optical production technologies, and biomedical photonics. Interdisciplinary cooperation between natural scientists and mechanical engineers makes innovative approaches to challenges from the most different areas possible: from the development of components for specific laser systems to process developments for the most diverse laser applications, for example for medical technology or lightweight construction in the automotive sector. Eighteen spin off companies have emerged from the LZH up to now. Thus, the LZH has created a strong transfer between fundamental sciences, application oriented research, and industry.